Step 1: Use the Website URL: https://www.ebayglobalshipping.com/. Step 2: Click on the link Login. Step 3: Enter User name or Email in combination with Password. Step 4: Click the ‘Sign In’ button. Step 5: You will be logged in if you have entered correct credentials. Step 6: In case you get error message rectify the User Name/Email and/or Password. Step 7: You can reset your password by clicking on the link ‘Forgot Your Password’. Step 8: Click on the button ‘Next’. An e-mailer will be sent consisting a link to reset the password. Step 10: Click on the button ‘I agree’ to proceed. 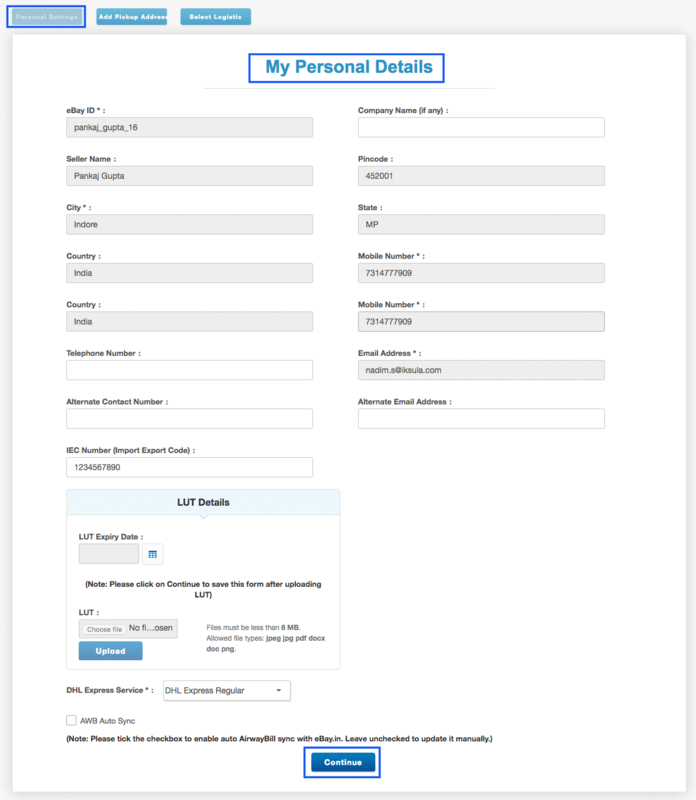 Step 11: For the first time log in, user is redirected to the terms and condition page; user has to accept T&C by checking ‘I accept’ and clicking on Continue button. 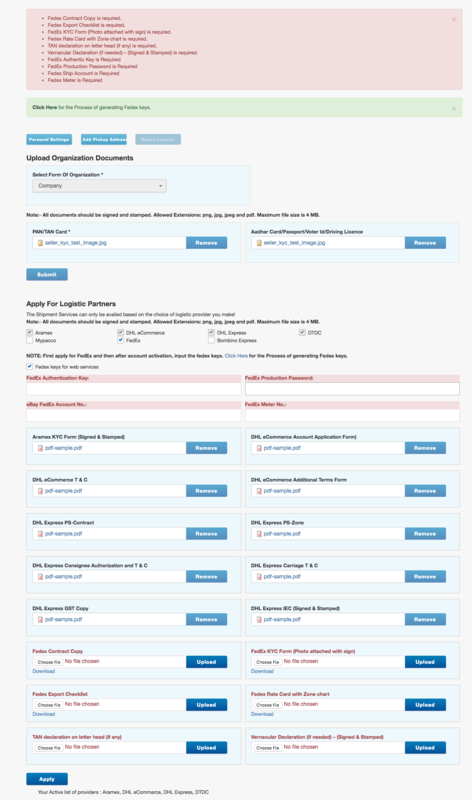 Step 12: Post user accepts the Terms & Conditions, user is redirected to user profile where required information is filled by the user as shown below. **This is only for the first time user log in; henceforth user is redirected directly to the Book Shipment Page. 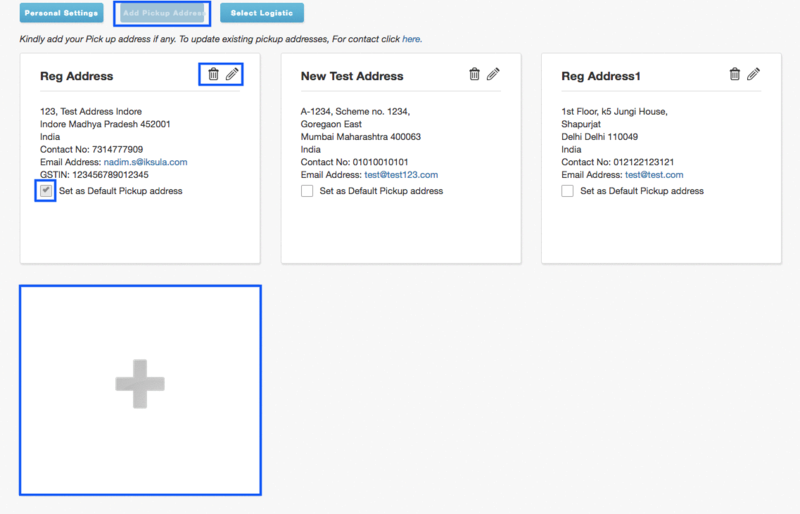 Step 13: User is redirected to this page or click on the button ‘Add Pick up Address from the left pane’ .User can add/edit/delete the pickup address. Step 14: Fill the details as shown below. All fields are mandatory. 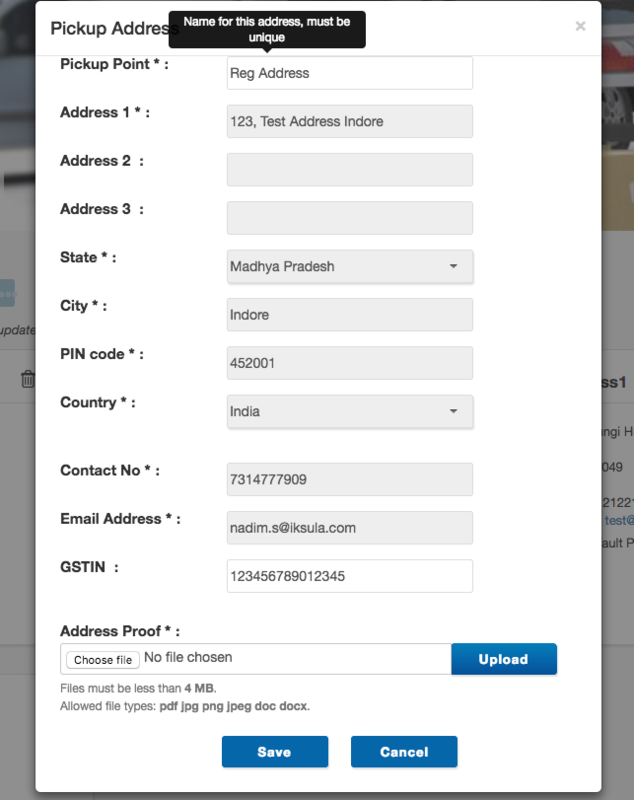 Step 15: Click on the Save button and the pickup address shall be added in the list. Step 16: User will be redirected to the page to select 'Logistic Partner' or Click on the button 'Select Logistic' from the left pane. 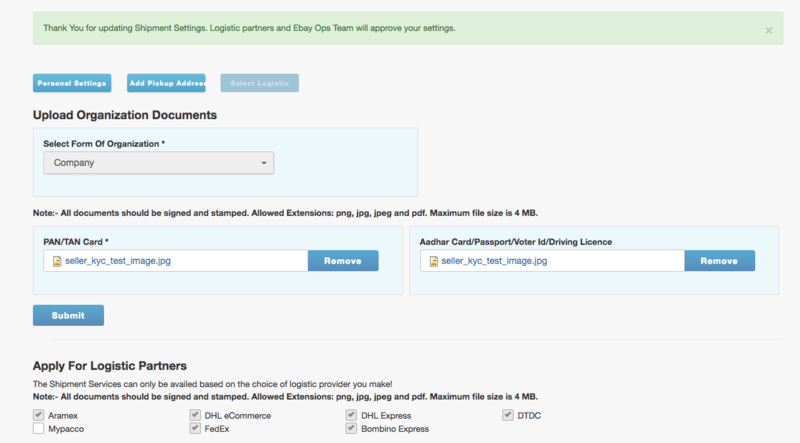 Step 18: User has to tick the Logistic partners with uploading KYC documents as shown below and click on apply. 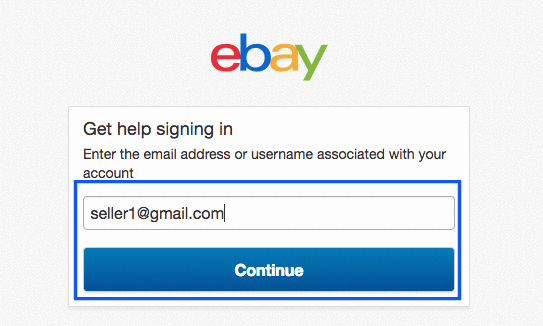 Step 19: User selected respective logistic partners verifies the seller and creates an account for the Seller. 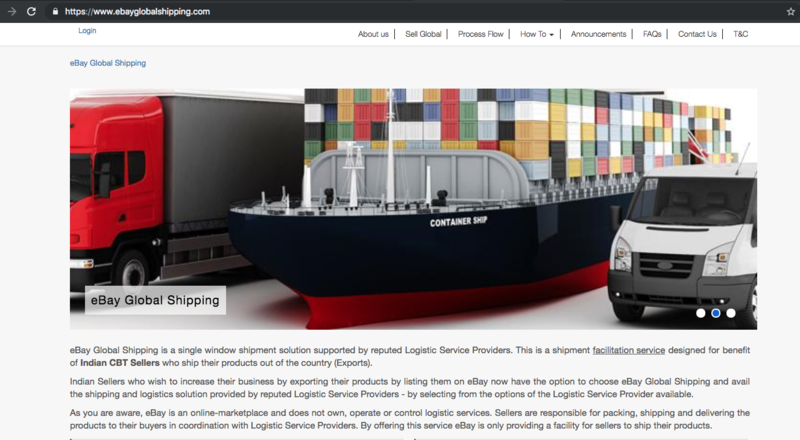 Step 20: When you select FedEx as Logistic Partner clicks on Apply. After the account activation follows the below-mentioned steps. Click on the link 'Click Here'. You will be redirected to FedEx Page where guidelines for Key Generation are mentioned. Enter the Keys as shown above and click on the button Apply. Step 21. If Key entered is wrong then you will get an error message. Step 22: Rectify the errors and apply again with valid KYC documents. Step 23: Logistic Partner than varify KYC documents and approves the Seller request. 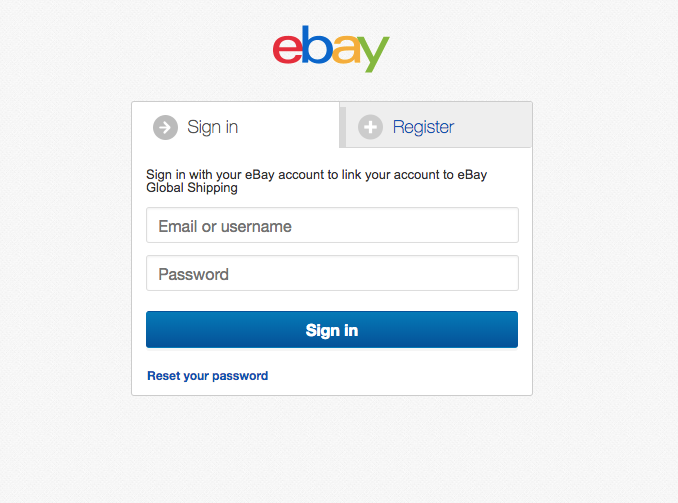 Step 24: Post this; eBay Team approves the seller’s request for applied Logistic Partners.